A squeeze page is a page that tries to convince visitors to give you their name and email address in exchange for something they perceive as valuable, such as a free report, eBook or a video. They are also sometimes called lead capture pages or a name squeeze pages. The purpose of a squeeze page is to quickly build a list of email addresses, preferably from people who have an interest in your product niche. Once you have captured an email address, you can use it to send out emails promoting your products and services indefinitely, or at least until the person unsubscribes. 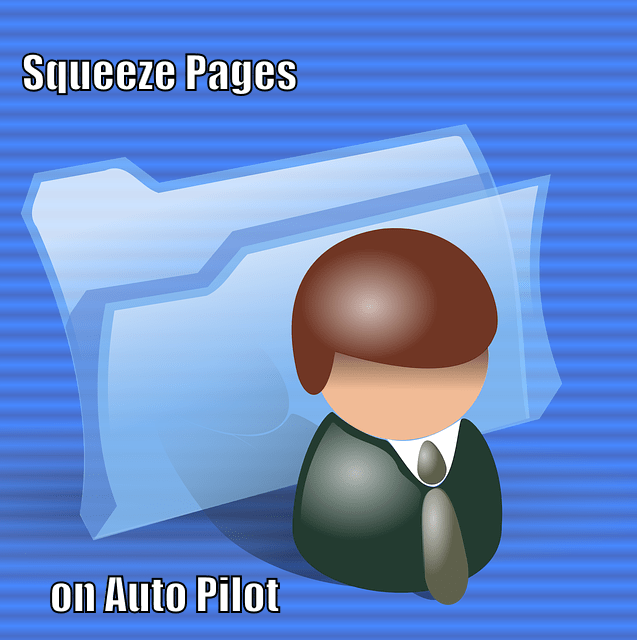 There are many different squeeze page software programs available, some free but mostly paid. They promise to generate effective squeeze pages for you that are “guaranteed” to capture a lot of email addresses. The software works sort of like resume-writing software. In most cases it will give you a boilerplate template that you can personalize to fit your own needs. In other cases, the software will give you prebuilt squeeze pages based on the most popular niches viz. weight loss, acne cream, dating, and so on, that you can post your links on and tie to a place where you can collect email addresses and start building a list. Like resume-writing software, squeeze page software is most helpful if you have never written one before. But once you get used to writing squeeze pages, it’s not difficult and you don’t really need to spend money on software to do it for you. As for the pre-written templates on the biggest niches, they typically already have SEO, which can help their ranking a little on Google and elsewhere. But if the same templates are being used by lots of different people, how does that differentiate your product? It doesn’t. If you look around hard enough, squeeze page software is so common these days that you usually can get it for free. Rather than using the software for your products, a better plan is to take a look at the kinds of squeeze pages they offer then steal their best ideas to create a squeeze page that is custom-fitted to your particular product and niche. If you are creating your own squeeze page, remember that they are similar to sales letters except they are much shorter, usually only one or two pages. – List its benefits (how it will improve their life) not just its features (what it has or does). – Conclude with a Call to Action (what you want them to do, in this case give you their email address). You need to offer something for free to incentivize people to give you their email address. This can be a free report or eBook you can either create yourself or pay somebody to write, or a how-to video. The free giveaway should be related to your niche and should have high perceived value to the prospective customer. You may be familiar with a low-function autoresponder that probably came free with your email account. You know: The one that tells people when you are out of the office or on vacation. The autoresponders we are talking about here are much more advanced than those. Unlike list building and squeeze page software, you will need to use an autoresponder to manage your email address capture and delivery system. There are lots of different programs available, but one of the most popular and reliable comes from AWeber. It costs about $19/month. For that price you can use it to send unlimited emails to 500 email addresses. Obviously, if you need more, you can buy a different package.